GIRLS 10U TRAVEL SOFTBALL TRYOUTS – Orlando Lady Titans 10U has 2-3 positions available. We are looking for a couple of hardworking, dedicated players. We practice out of Curry Ford/Lee Vista/Orlando Airport area. Birthday must be between 1/01/2006 to 12/31/2007. For tryout information, please contact Rick at 407-202-3354, 407-572-7244, or email OrlandoTitans@yahoo.com. The Central Florida Suns organization is excited to announce the launch of our first fastpitch softball team coming this fall. Central Florida Suns has been a well-recognized baseball organization since 1995. We are now looking to build a strong softball program that will foster the same goals and successes we’ve had over the years. Our first team will be a 10U team based out of the Lake Mary area. We are looking to build a team with 08 and strong 09 players with a passion and dedication for the game. The 07 Dirt Dogs are moving to 12U and have openings on the team. We have a great group of core girls and are looking to add additional dedicated competitive athletes. All positions are considered. All positions are earned at practice. All girls must be able to hit. Coaches are very knowledgeable. We strongly believe in developing each and every player in ALL aspects of the game. In our last 12 Tournaments we have 6 Championships, 5 Runners Up and 1 third place finish. We coach hard and play hard. We are a 501(c)3 and fund raise to cover most expenses. 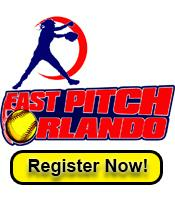 Central Florida Xplosion 12U is looking for a few more girls to join our team. We are based at Soldiers Creek Park, Longwood. We will be holding tryouts on Tuesday, July 17th, from 6:30-8:00pm at Soldiers Creek Park in Longwood on Field 5. '06 Birthdays. ALL positions. Pitchers and Catchers arrive 45 minutes early and meet at the cages. Please contact Coach Marcy, 407.312.4216, with any questions. Newly Formed Lunachicks Travel Softball Team based out of Lake Mary will be holding tryouts Tuesday July 17, 2018 6:30 p.m.-8:00p.m.